High-quality Swedish Sandvik 14C28N steel provides razor sharpness, high hardness, exceptional toughness, superior corrosion resistance, and excellent edge performance. 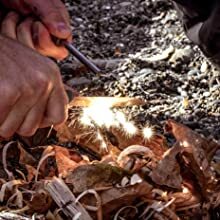 The spine of the Garberg blade has been ground especially for use with a fire starter (sold separately) to create sparks that will ignite dry grass, tinder, or even a gas grill. 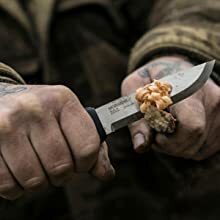 The Garberg blade features a Scandi grind that provides a durable yet razor sharp edge to bite into the surface of materials and keep the knife from slipping. 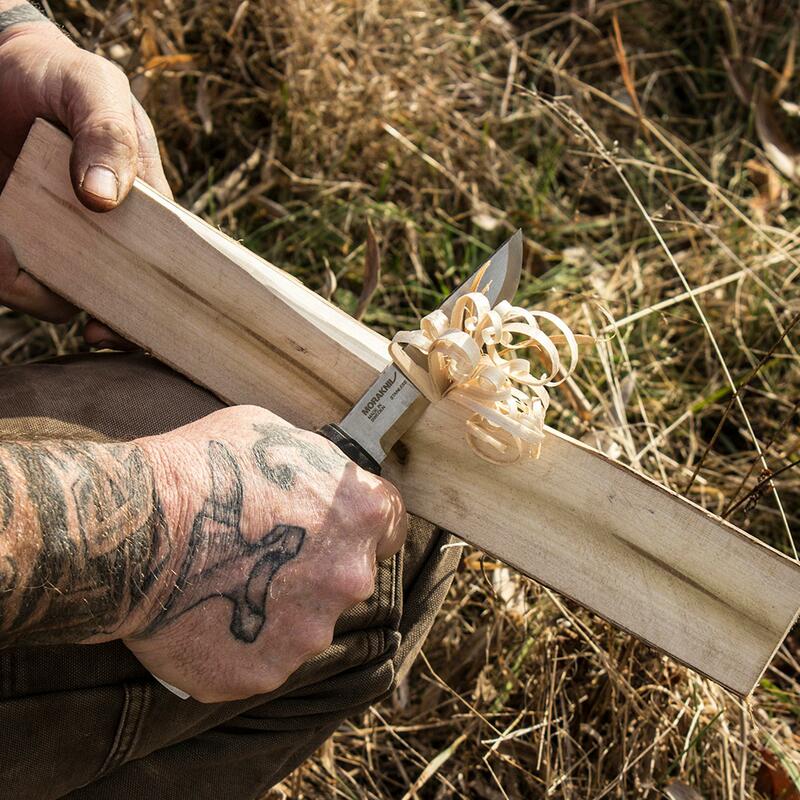 The blade is thin enough to use for carving yet robust enough for batoning and other demanding outdoor activities. 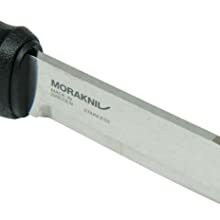 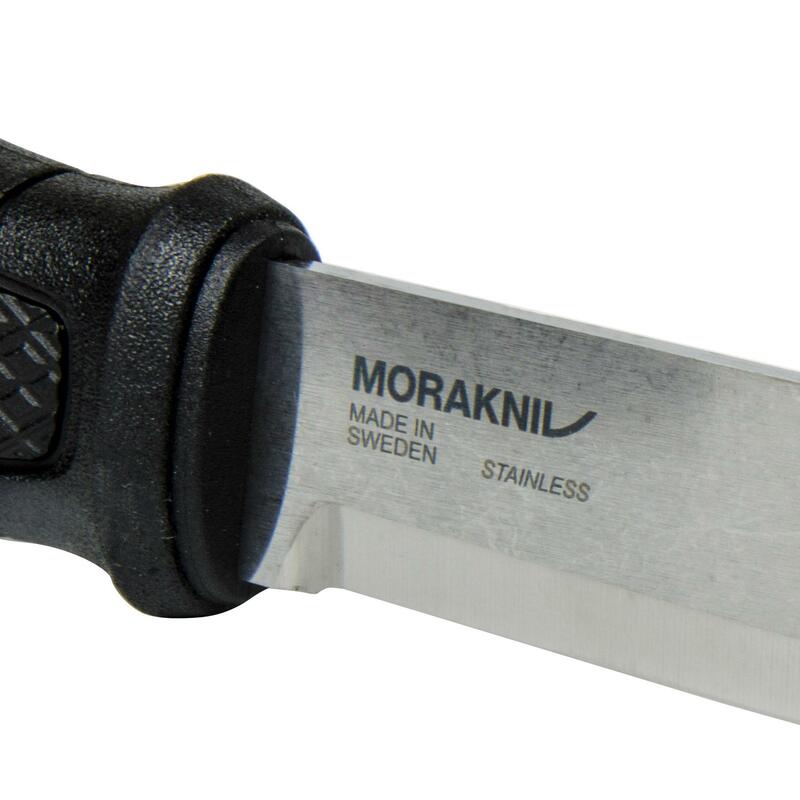 The Morakniv Garberg handle offers great anti-slip performance and works extremely well in wet and cold conditions. 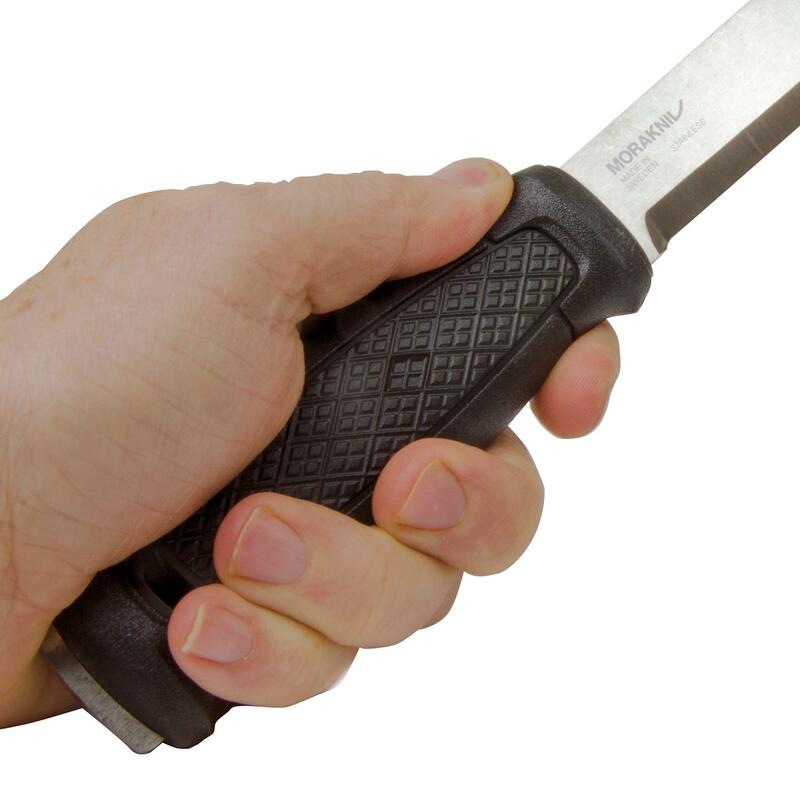 It sits comfortably in the hand, allowing for great control, safety, and performance. 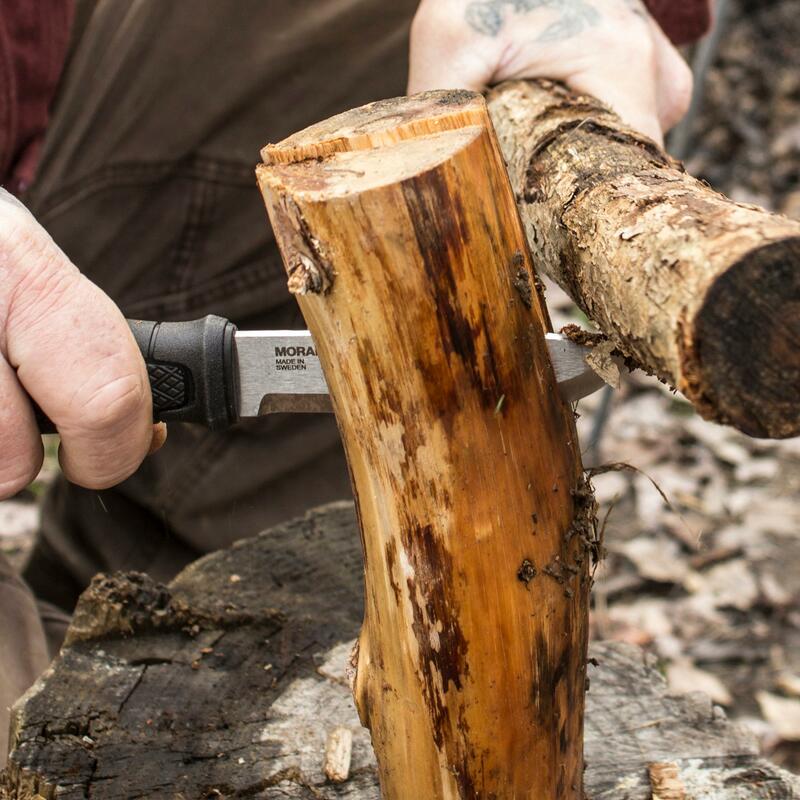 Batoning is the practice of splitting logs into small pieces for kindling. With its robust .09-inch (2.5 mm) thick blade and solid strength, the Garberg is tough enough to tackle the toughest batoning chores. 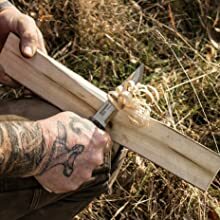 A razor sharp edge and exceptional balance make the Garberg an ideal carving tool, allowing users to precisely prep tinder, create feather sticks, carve shelter stakes, or process wood for various uses like collecting water or creating camp tools. Feather sticks are important for helping to start a fire with damp wood or without tinder. 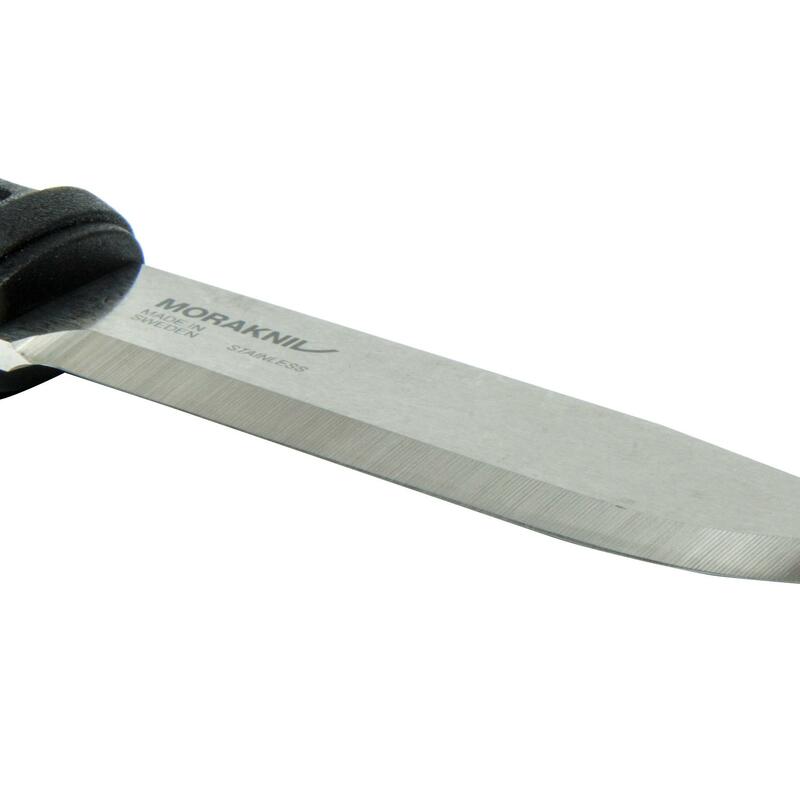 Garberg's sharp edge, light weight, balance and ease of use make it ideal for this essential camp task.